ISLAMABAD (AP) — Pakistan's military sentenced an Indian naval officer to death Monday on charges of espionage and sabotage, officials said. Kulbhushan Jadhav, who was arrested in March 2016, had been convicted by a military tribunal, the Pakistani army said in a statement. Gen. Qamar Javed Bajwa, the head of Pakistan's armed forces, signed off on the sentence. Pakistan's Defense Minister Khawaja Mohammad Asif alleged that the spy had official Indian government backing. "Anyone who patronizes our killers will be met with iron hands," he told the local Geo TV channel. "We have no mercy for them." Islamabad alleges that Jadhav was an Indian intelligence official who aided and financed terrorist activities in the southwestern province of Baluchistan and the southern port city of Karachi. Pakistan's army released a video shortly after Jadhav's arrest in which he confessed to having spent years sowing unrest in Pakistan. It was not clear if he was speaking under duress. "I have been directing activities on behalf of the RAW (Research and Analysis Wing)," he said in the confessional video. RAW is India's premier intelligence agency. Jadhav said he started working with RAW in 2013 after more than a decade in the Indian Navy. India's foreign office summoned Pakistani High Commissioner to Delhi, Abdul Basit, to register a formal complaint. The External Affairs Ministry issued a statement dismissing Jadhav's trial as a farce and saying Pakistan had ignored 13 separate requests in the past year to be permitted to offer him consular services. 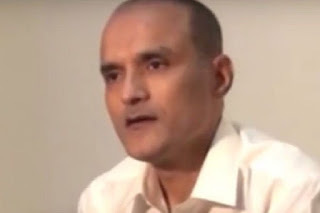 The ministry statement said that Jadhav was kidnapped last year from Iran and his subsequent presence in Pakistan was never explained credibly. It concluded that his death sentence, if carried out, would be regarded by the Indian government as premediated murder.